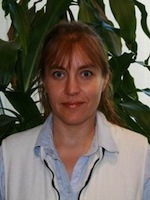 Svetlana Roudenko currently serves as Associate Professor of Mathematics. She has previosuly served as an Assistant Professor of Mathematics at The George Washington University, Assistant Professor of Mathematics at Arizona State University, Visiting Research Scholar at Universite de Cergy-Pontoise, and Assistant Research Professor at Duke University. She has also served as a member of the Mathematical Sciences Research Institute at the University of California, Berkeley.